Unless you're living in California or Miami, my guess is you've been experiencing some serious cold for the past couple of weeks. 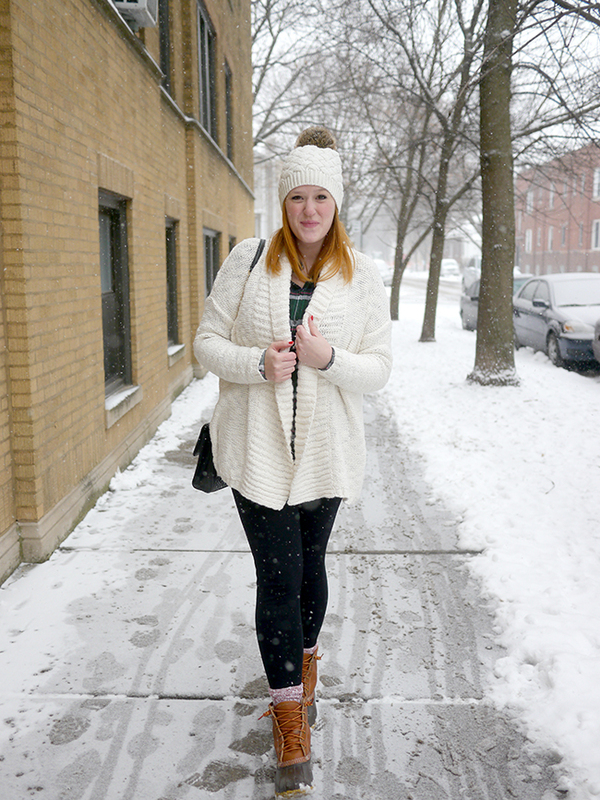 I grew up in the Chicago area and spent a lot of winters freezing. I remember walking to class in college and thinking my feet would fall off. But really, the reasons why I was so cold? I wasn't dressed appropriately!! I mean, I used to wear flats every day, spent a whole winter in high school in just a peacoat, and would regularly skip hats to keep my hair looking good. Helloooooo! Now that I've figured out what to wear, I don't even think it's really cold out unless it drops below twenty degrees, and I regularly find myself too warm when I'm out walking around. So what are my secrets? It starts with the shoes. 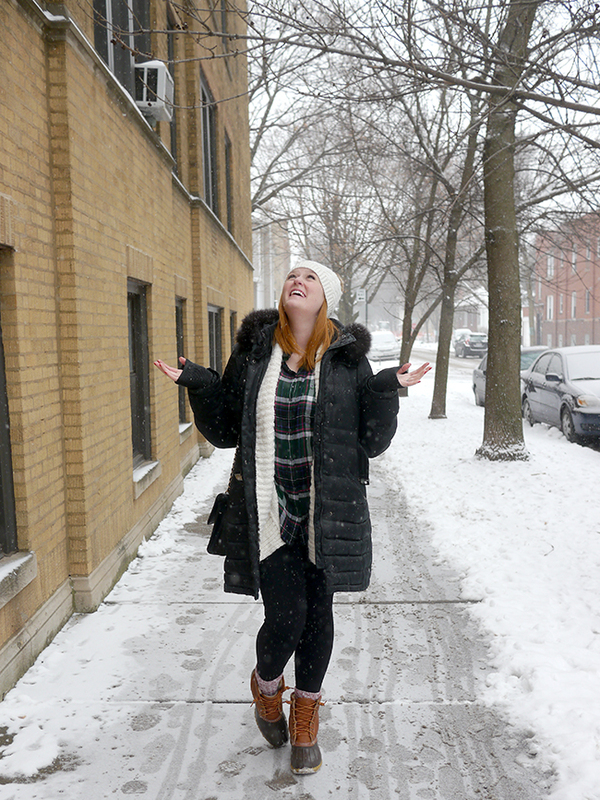 I spent a few years in Chicago without snow boots, and let me tell you, it was a mistake. 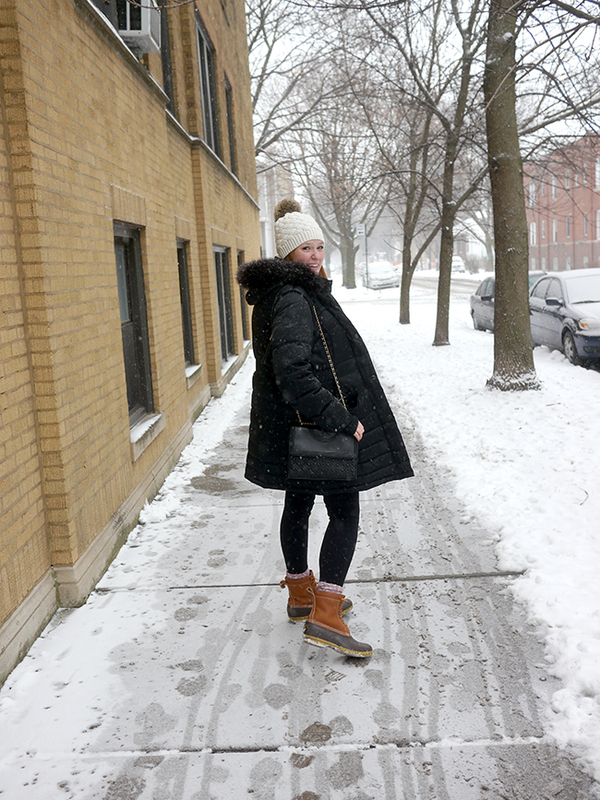 I tried (fake) Ugg boots which were warm, but didn't work in snow, ice, or the giant slushy puddles that take over downtown in the winter. 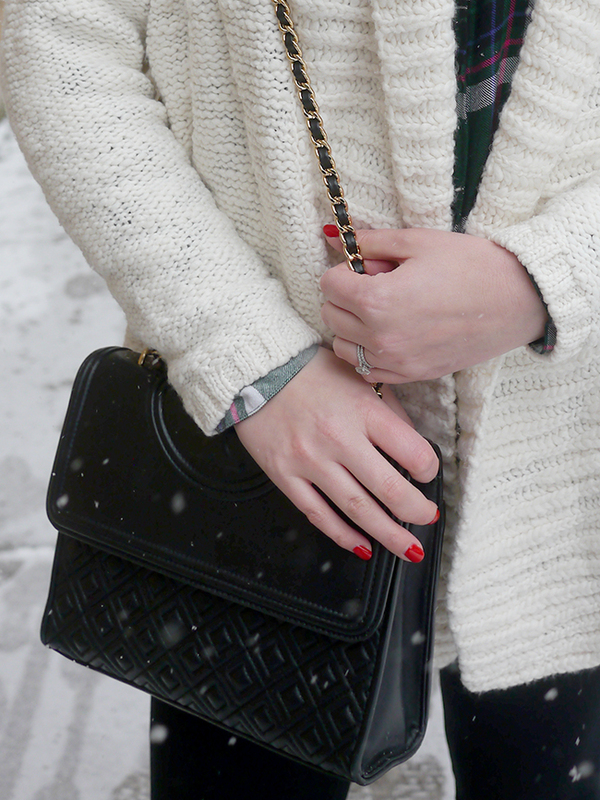 I love my Joan of Arctics for really snowy days, but they're a little too big and heavy for everyday wear. I picked up a pair of Bean boots this fall, and they have been serious game changers. I got the 8" sherling-lined pair (with the sherling insoles - omg so good), and they are freaking amazing. 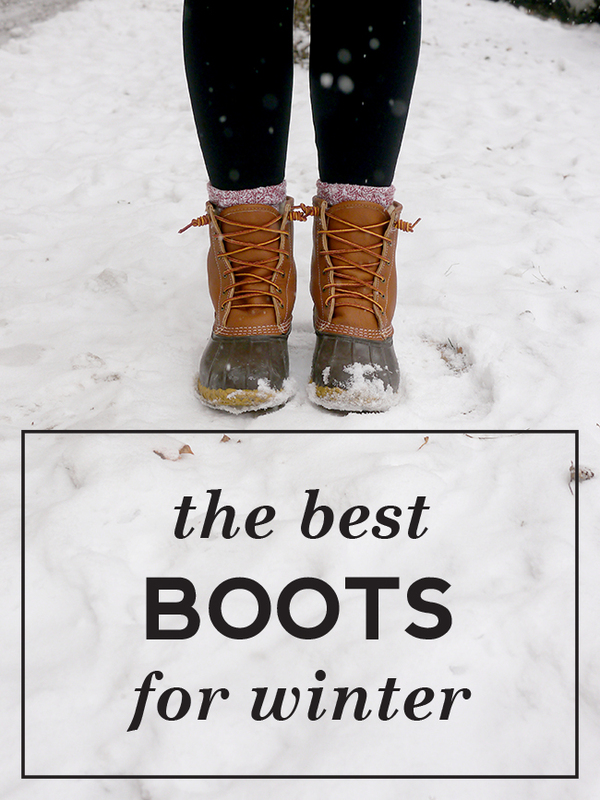 So warm and cozy, like Ugg boots, but waterproof and with great traction. They also aren't heavy and are easy to get on and off. I may or may not have worn another pair of shoes since Christmas. 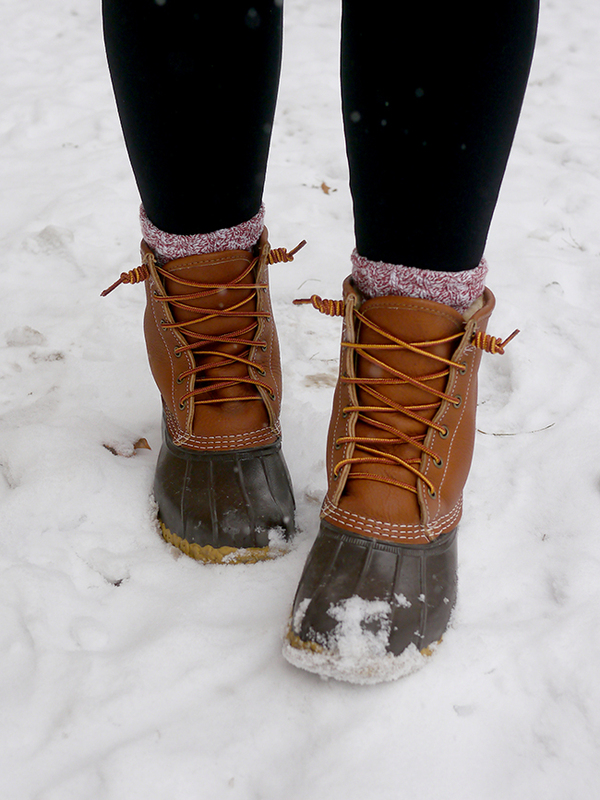 To make your winter boots really work for you, you also need some cozy socks. I'm wearing camp socks here, but I've also been loving these wool socks from Bombas - I will actually do laundry more often to get these back in rotation. And then, obviously (or perhaps not so obviously for high school Kristina), you need a serious coat. 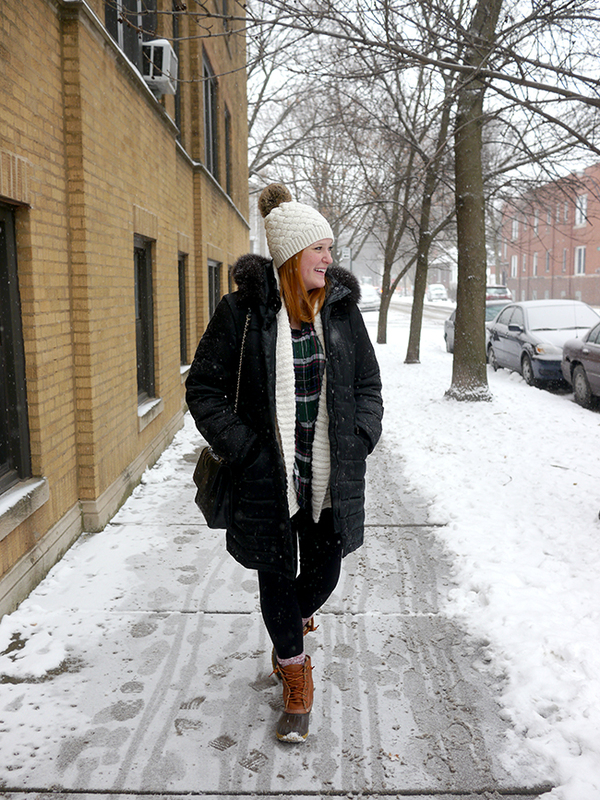 Your wool coats might be pretty and functional when it's in the forties, but when the temps start to dip below freezing, a puffer is where it's at. And you don't need a crazy expensive coat to stay warm either. I've had this coat since 2011 and it's still serving me well. 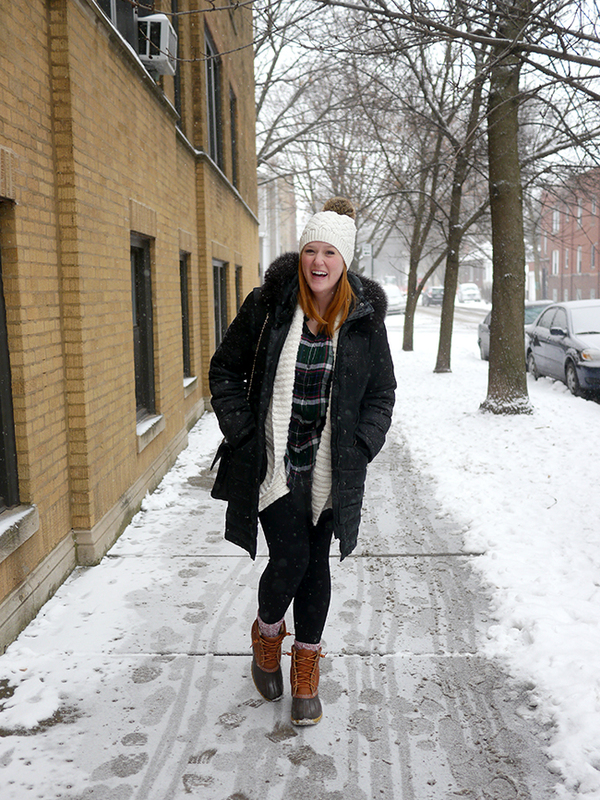 What's the trick for finding a good coat for less? Shop now! Winter coats tend to go on their best sales in January and February, since that's when stores start to clear out their inventories to make room for spring and summer inventory. I bought my coat in January and got it for over half off. This exact style is no longer available, but here, here, and here are similar versions. Finally, top things off with a warm hat that covers your ears. That's right, no cute berets or floppy wool hats. 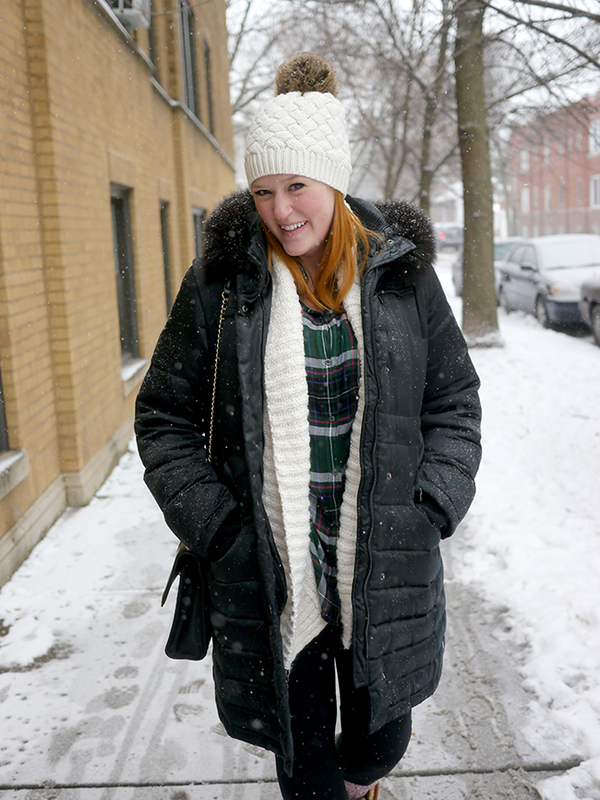 Grab yourself a warm beanie (faux fur pom-pom optional ;) and keep that heat in. Oh, and not pictured? The giant scarf I wrap around the outside of my hood when we drop down below zero. Not cute, but it does the trick!